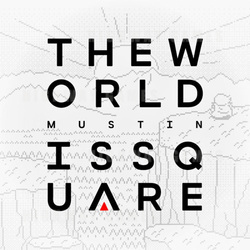 Mustin, a video game remixing pioneer, is set to arrange and produce a chillout album dedicated to Squaresoft's SNES/PSX RPG's this Valentine's Day. The album will include tracks from Secret of Mana, Chrono Trigger, Final Fantasy IV, Final Fantasy VI and Final Fantasy VII. The laid back electronic renditions of these classics are dedicated to a special girl in Mustin's life, making it the perfect musical accompaniment for Valentine's Day. The album's title is also a reference to the optional dungeon puzzle from Final Fantasy VI. The digital version includes a sleek digital booklet with artwork, track credits and liner notes on Bandcamp and iTunes. A physical edition is also available including an illustrated pixelated cover by Scarlet Moon graphic designer Connary Fagen.